I was in the supermarket the other day and noticed that many women carry the same handbag everywhere, to work, to the gym, to the supermarket, out for an evening, never stopping to consider that this one-size-fits-all solution may be doing then an injustice. 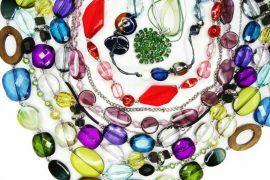 So is it time you thought about your handbag, and whether or not you may need more than one to create that overall stylish look you are trying to create? Relate the colour – it doesn’t have to match exactly, but it needs to relate to your outfit. A little floral sundress does not suit a large black bag. A pair of jeans does not work with a briefcase style bag. A suit does not meld with a sparkly clutch, nor a graphic bag suited to a pair of jeans. An evening dress needs a smaller, more refined bag than you everyday variety. Match the formality, satin works for formal, but not casual. Relate the colours, or choose colours that don’t clash to provide an accent colour. Relate the size for the purpose, day bags are larger and nore roomy than evening bags. And unless your personality is very conservative, don’t match your bag to your shoes, unless they are both black or brown. to save you time and effort. I must say I am guilty of this particular crime! It's not as if I don't have a variety of bags (although I could do with some lovely casual ones) – it's more laziness!! I was taken with the idea of a bag insert but then decided that a regular clean out wouldn't such a bad thing! So my new challenge is to sort through my bags and make sure they are appropriate for what I'm wearing. Sparklingmerlot – let me know how you go! I've got a bag insert, and they do make it easier, still have to clean out your bag though! I do find that by regularly swapping handbags it keeps the detrius under control. I have managed to narrow my bags to six, even though I´m snobby about bags, and I live in a country with four seasons. Three of them are large bags, two are ok for evening and day, but the alligator clutch is for special occasions only. I´m satisfied with the situation right now, and don´t wish to buy any one season, trendy bag. I believe in quality to quantity, and simply could not manage more bags per moment. Hi Imogen! People around here make another handbag error and that is carrying a winter-weight bag in summer. 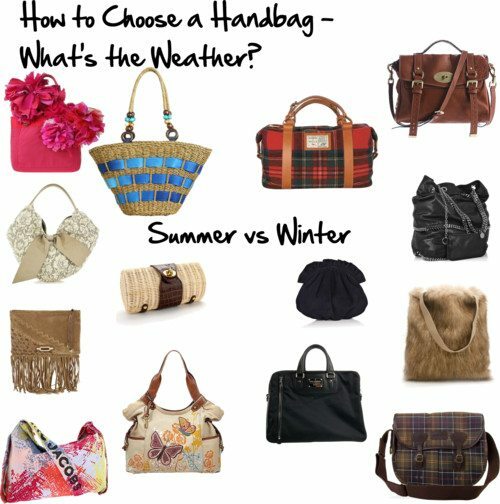 I'm thinking that handbags are also seasonal, am I right? I'd like to think I wouldn't make the mistake of taking my day bag out for the evening, but I freely admit there are days when the color doesn't relate in the slightest to what I'm wearing. I do own a Miche bag which tries to get around the colour issue, but unfortunately it's just a teeny bit small to be ideal. 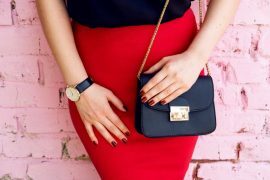 I am definitely guilty of using the same bag all the time … though I'll admit that I spent AGES looking for a bag that I felt would do well with both feminine/formal and casual outfits. I do switch to a clutch for eveningwear, though, I promise! I like using a SportsSac zippered puch as a purse insert. One of my "fashion don'ts" is women who carry dark leather bags (I guess because the bag is "good") in full summer. Linen, straw, pale leathers or seasonal nylons (Herve Chapelier etc.) look so much better. One for the cold season (quality fake leather, soft black), one for the hot season (quality canvas or cotton, white-gray-blue), one small one for evening outings. Voila! I always change my bags! This week, I have a red bag and made all my clothes neutral so it would pop. I need more good handbags and less crap. Thanks for the great illustration. Who has room to store so many handbags, and who has time to change handbags? I have a medium-sized black leather satchel style handbag that works with all my everyday outfits, and a smaller pewter leather clutch for dressy occasions. I also have a small leather purse for when I only need to carry my cell phone, keys and wallet. Oh, and I have a large wine red leather handbag for traveling. All of my handbags are top-quality leather and upgrade the look of my outfits. 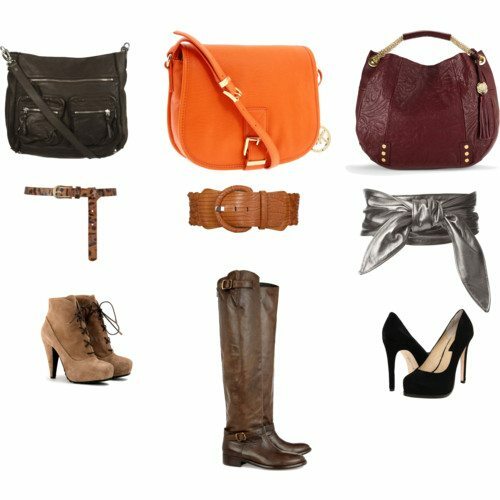 I think quality accessories (shoes, handbag and jewelry) can make even a modestly priced outfit look more expensive and classy than it would otherwise look. This is a good post. Love the info. I have a bag insert and it is great, but some are long and some are short, so you need two I think. Do you swap purse to suit your bag? I did that for some time and it took too long to recall where everything went so I just bought a boring neutral that went inside any bag I used. Yes, I like bags and purses to match, (I must be that conservative personality). I was raised by a mother who grew up in the depression. We were told your shoes, hat and gloves should match and as I have gotten older, it begins to happen without you thinking about it. Do you have ideas about the purse thing? I used to have a card holder, purse and bag that all matched and got comments all the time about Miss Posh, just liked it better than opting for change overs whenever an outfit called for it. 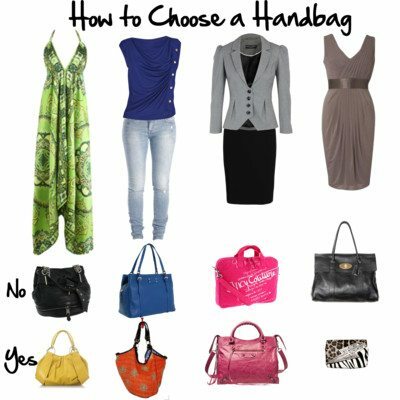 Do you change over purses at times to suit a bag? p.s. do you keep all those bags in a dust bag? What are good storage options? Pretty boxes? I have a small navy leather saddlebag style purse for inside the building and a crossbody largish navy nylon (for low weight) with small floral print for outside which requires me to carry more things. I have used a purse insert in the outside bag for years and find them handy for organizing even though I don’t switch purses. I also have a bone and a navy dress bag that get used only occasionally. Again, ease and comfort over style, although I want to look my best given these parameters.